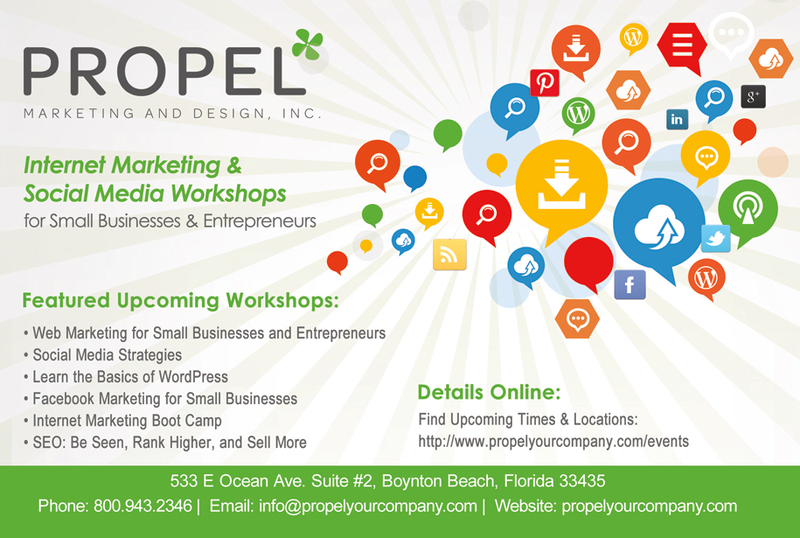 Propel Marketing & Design, Inc., a South Florida based Marketing Agency, has announced an upcoming WordPress Workshop on Tuesday, October 14, 2014. We love WordPress, and unless our client has a specific need to use a different platform, we stick to WordPress. 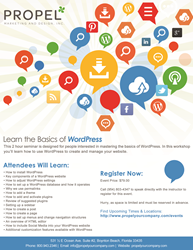 This WordPress seminar is designed for people interested in mastering the basics of WordPress. In these workshop participants will learn how to use WordPress to create and manage their website. In addition to material covered at the event, attendees will leave with a workbook that accompanies the materials in class. To find out more information about the classes listed here, visit http://www.propelyourcompany.com/events or call 800-943-2346.